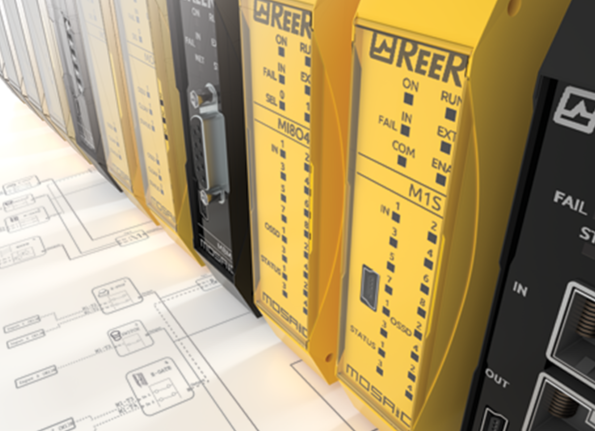 We are excited to announce that the new M1S Master Unit, as well as the I/O Expansion Module MI8O4 from Reer are in production and ready for sale. 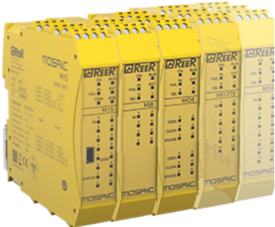 The new MOSAIC M1S joins the existing range of Reer Mosaic safety controllers. 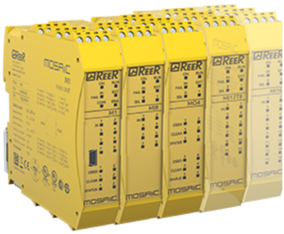 Thanks to the enhanced micro-controller, the M1S offers enhanced features compared to the well proven M1, including 4 single OSSD safety outputs (or 2 pairs), up to 128 logic operators, 4 inputs for Start/Restart interlock and EDM, 4 test output and 4 status output. Its “little brother", the new MI8O4 (with 8 additional inputs and 4 additional outputs) expansion module is also available. Check out the comparison table below to find out the enhanced features of the new M1S Master Unit. 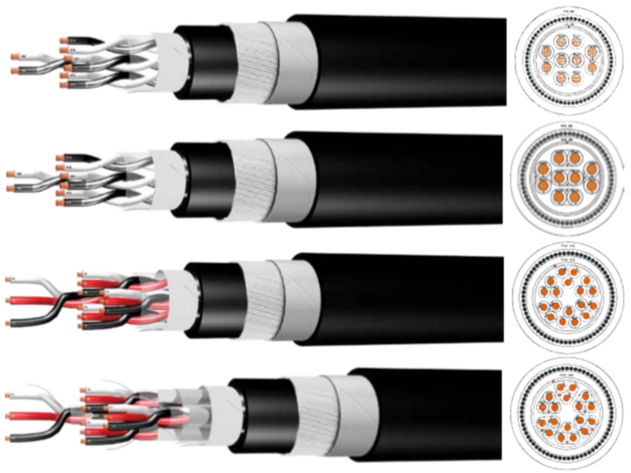 Instrumentation cables are mainly used in data processing and process control i.e. electrical measuring device to instrument panel, instrument to instrument connection, and electrical sensing device to control cabinets. They can also be used for general transmission of electrical signals in any systems of remote control, indication, telemetering, monitoring and analysis where it needs to be protected from interference to the transmission signal by other electrical circuits. Instrumentation cable with the identification colour blue is specified for intrinsically safe circuits use. Contact us for more information on our increased Steel Wire Armour (SWA) range in stock now. 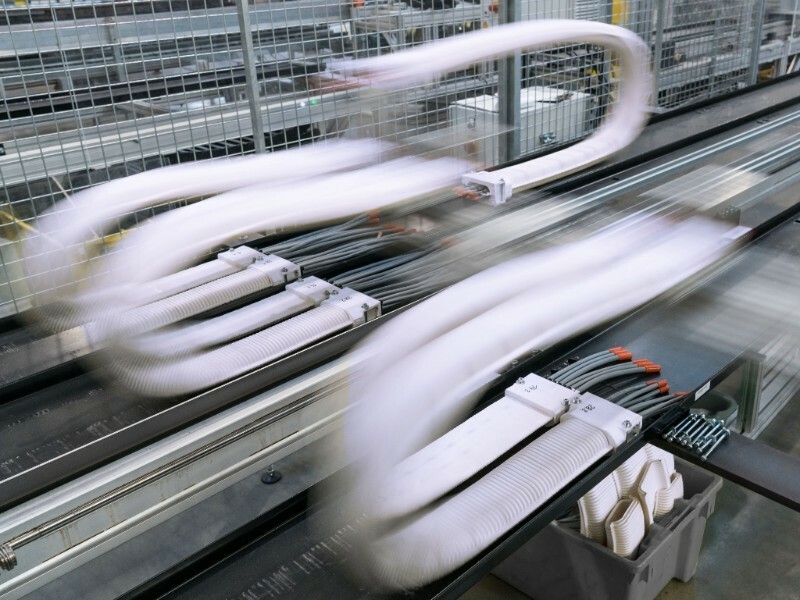 Igus has developed the e-skin for the energy supply sector in clean production areas. It provides systems with data, media and energy without generating airborne particles through friction above the strict limit, which could contaminate the room. The improved corrugated hose with ISO Class 1 for cleanroom applications received the 2nd prize in the Fraunhofer clean technology award. The e-skin is made of tribologically optimised, abrasion-resistant plastic. The separable upper and lower shells can be easily put together by a "zipper" to a fully enclosed tube, which is highly dust-proof and water-resistant. This guarantees cleanroom compatibility and quick filling and maintenance of the cables. With the new LevelEx cable gland, Pflitsch has developed a modern ATEX certified cable gland in the "Ex-d" and "Ex-e" classes. It's compact and slimline design facilitates a space-saving installation, and with just four components it can be simply and securely assembled. 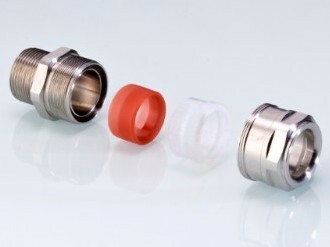 The sealing elements are of captive design and cannot be lost during assembly. The LevelEx achieves high types of protection IP 66 and IP 68 and thus corresponds to the types of protection Flameproof enclosure "Ex-d" and Increased Safety "Ex-e". With their broad temperature range, large size range and ATEX and IECEx certifications, they can also be used under extreme environmental conditions.